Gen here, emerging from a hibernation of sorts — that frustrating, lackluster period of near-stuntedness that is writer’s block. It afflicts all of us creatives at some point, this pesky Block, whether what you do is indeed writing, art, programming, design or anything else that requires the complex brain processes involved in creating something. Countless people can relate with their own experiences of this annoying phenomenon. It’s difficult to become inspired again during a Block period like this, especially when there seem to be multiple reasons and contributing factors to its shelflife – such as the insertion of real life! That’s a common problem that crops up when your work takes place in the imaginary; is of the imaginary. Reality must take precedence, of course. Jobs, school, interpersonal relationships that need work, etc. The list is endless. It is all too easy to fall into a schedule, a pattern that either surrounds this unintentional idleness or encourages it, too. The best thing to do, I suppose, is to just relax about it for a time, but then try to focus yourself in various ways. There’s no right way to go about that – in fact, even relaxing about it may not work for some people. Sometimes trying to force your way through it may work, sometimes lallygagging and doodling around may work, perhaps a new set of movies/shows to watch to get ideas, writing a journal to get the juices flowing, meeting a new person with new perspectives on things, etc. Sometimes it may be months before you suddenly feel an itch to get something done and voila – you’ve completed that novel you’ve been dragging your feet on, or you’ve finished that computer program or comic book. We are stronger than the Block!!! We will get through it!!! Just remind yourself of what you love to do, and why you love to do it. And work at it – what was that quote again by Thomas Edison? 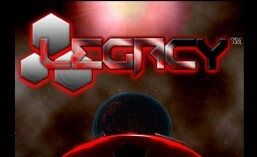 This entry was tagged #indiegamedev, #indievideogame, #legacythevideogame, Intern: Genevieve, LEGACY, Legacy videogame. Bookmark the permalink. ← The Team Keeps Growing!